The Chipmunks had a special voice and so many people want to talk like them. So, this tutorial will guide you the way to talk like Chipmunk on Skype with Voice Changer Software Diamond (VCSD). Step to take. 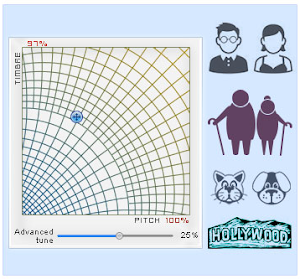 Move the cursor (2) on the Pitch-Timbre graph to change your voice. In order to have the same voice as Chipmunk's, you can change Pitch and Timbre to 169% and 105% respectively. 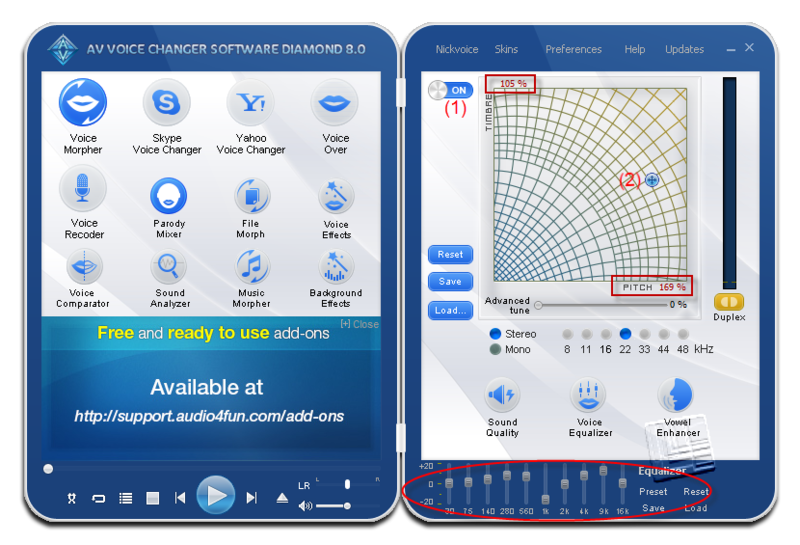 Adjust equalizer value same as Equalizer pane to make your Chipmunk voice sound better and clearer. 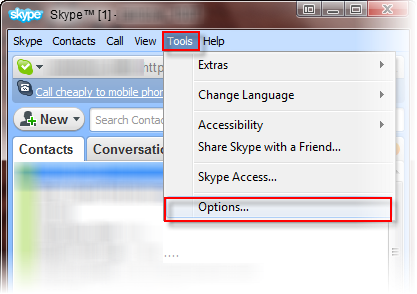 Run Skype, login to your account. Choose menu Tools ~> Options. 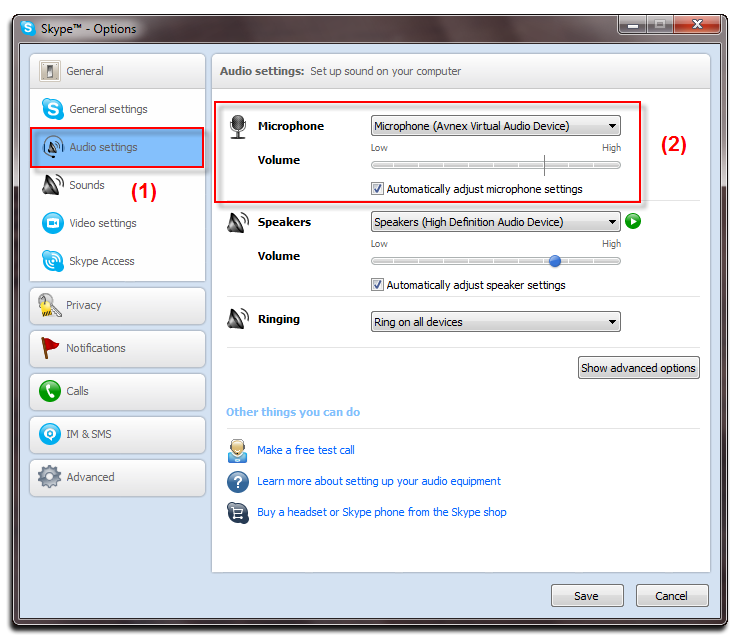 Get back to Skype and start VoIP chat. The morphing effects are now applied, and your voice has been changed in real-time.